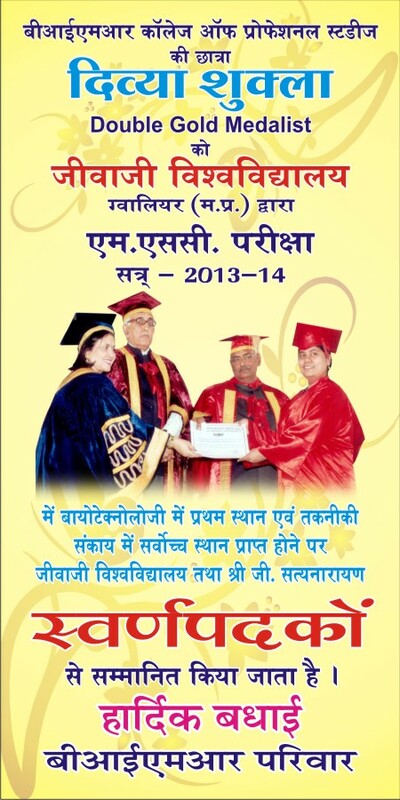 a)	Ms.Divya Shuka Shukla has been conferred with gold medal for baing placed in 1st position in M.Sc. (Biotechnology) in the faculty of Technology for the session 2013-14.
b)	She has been conferred with Shri Godawarti Satyanarayanco gold medal for securing first position is M.Sc. (Biotechnology) examination for the session 2013-14. 2. 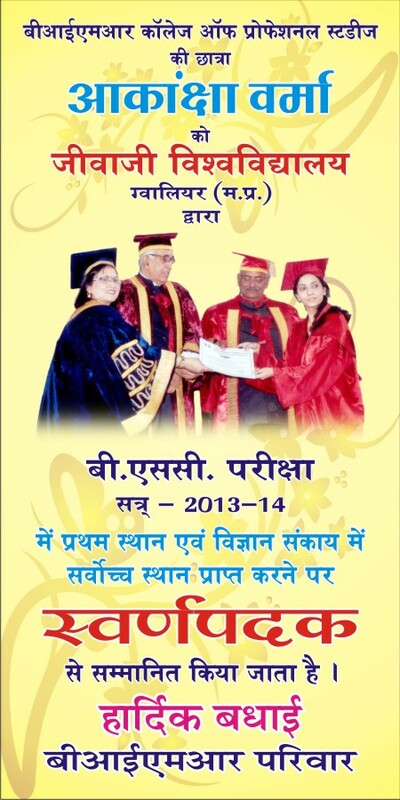 Ms.Akanksha Verma has been confired with gold medal for securing first position in B.Sc. examination for the session 2013-14 in the faculty of Science. 3. 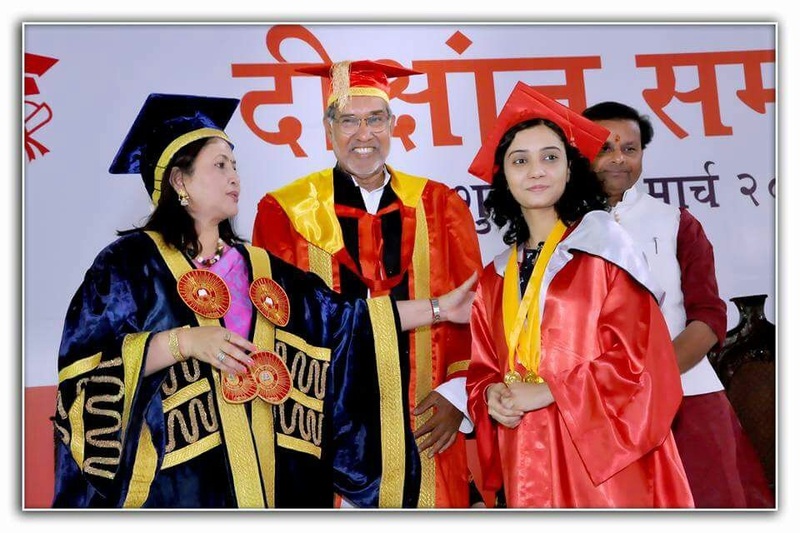 Ms.Akanksha Verma for being topped in M.Sc(Biotechnology) of Jiwaji University and conferred with three gold medals, 1. University Gold Medal. 2. Godavarthi Satyanarayana Gold Medal. 3. Prestigious Dr. Shankar Dayal Sharma Gold Medal also in Jiwaji University Convocation held on 3rd March 2017.